Apink, 8th anniversary fan meeting preorder sold out in 3 minutes. Girl group Apink sold out the tickets three minutes after the fan meeting's pre-sale opening to celebrate their eighth anniversary. Plan A Entertainment held a pre-sale of Apink's eight year old fan meeting "Apink Is Eight" at 8 p.m. on 27 through Melon Ticket. Apink once again boasted of their strong ticket power as all tickets were sold out in just three minutes after the start of pre booking. Apink also recorded sales in the first two minutes of advance ticket sales at the PINK CINEMA, a fan meeting held last year to celebrate its seventh anniversary. The agency Plan A Entertainment officially announced "There were a lot of questions about reservations even before the ticket opening, and there was a lot of competition among fans to secure tickets, I ask for your attention as there is still a chance to make a general reservation on the 29th." 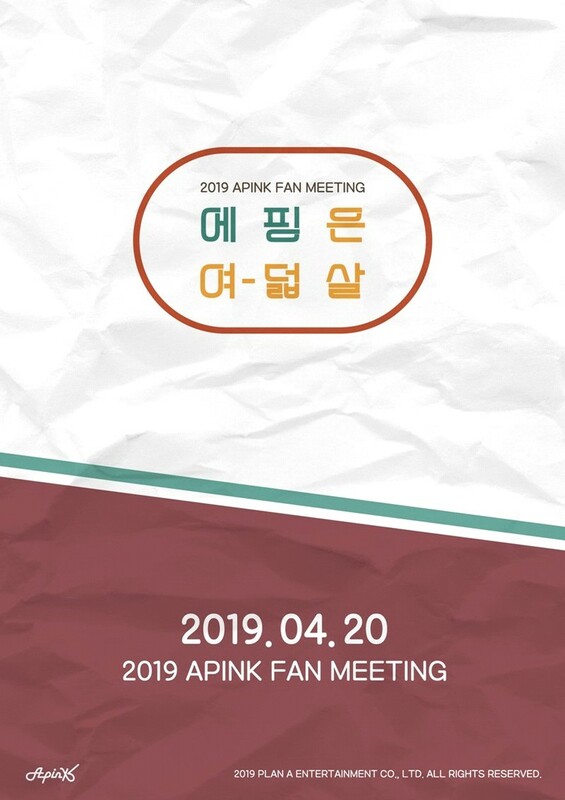 Apink will hold a fan meeting at 5 p.m. on April 20 at Sejong University in Seoul to celebrate its eighth anniversary with fans. The fan meeting is said to be specially decorated with the concept that Apink members return to the age of eight and hold an athletic meeting. Apink is working hard to prepare for the upcoming release of its fan song on April 19.